A couple of months ago, the The International Consortium of Investigative Journalists broke a major financial story: the leaking of 11.5 million documents detailing the internal workings of Mossack Fonseca, a Panamanian law firm responsible for helping the rich of the world legally hide more than $2 trillion from tax-seeking governments. Dubbed “The Panama Papers,” the report led to world-wide outcry, promises of crackdowns from the U.S. government, and the immediate resignation of the Icelandic prime minister. But not Steven Soderbergh. According to Deadline, Soderbergh has put a movie about the Papers into development, producing the film with—reportedly—an eye to direct. 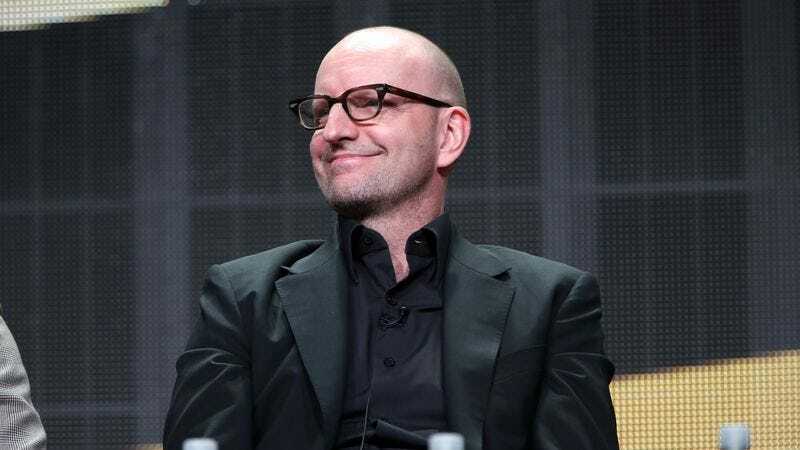 If that last part’s true, it would be the second film Soderbergh’s been attached to as a director since his self-imposed (and extraordinarily busy) retirement, after the upcoming heist film Logan Lucky. To be fair, though, the story of the Panama Papers offers everything a returning Soderbergh could want: a script—based on an upcoming book by Pulitzer Prize-winning journalist Jake Bernstein—from his frequent collaborator (Side Effects, Contagion, and The Informant!) Scott Z. Burns. A sprawling, interconnected story about absolutely staggering amounts of money going missing. And even a chance to work with beloved stars like Jackie Chan and Emma Watson, both of whom were named in the Papers as clients of Mossack Fonseca’s services. Of course, the last time anyone said Soderberg was definitely going to direct another movie, he started yelling on Twitter about the failures of modern journalism. So we can’t definitively state he’ll be in the director’s chair for this movie, which he’s producing, about a very Soderberghian-topic, and with a script written by his frequent screenwriter. We definitely cannot say that that is what’s happening here.